In July 2017, for the second year in a row a female won the Life Saver of the Year at the Sydney Northern Beaches Branch Awards of Excellence, with Whale Beach SLSC's Lara Boyle receiving this prestigious award. ''When I first saw the nominees I thought it would be very close but never expected my name to be read out,'' said the affable Lara. Lara has been CTO and Patrol Captain at her club, before becoming Club Captain. Lara holds the Gold Medallion - the pinnacle of surf lifesaving awards and is also a jet ski operator for Branch. She already has plans to focus on the development of the club's younger members this season. 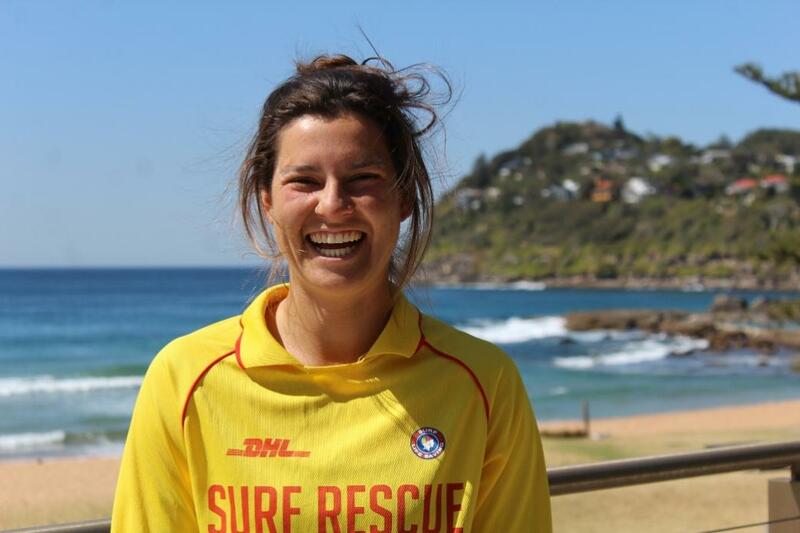 In August Lara was named the prestigious Surf Lifesaver of the Year at SLS-NSW Awards of Excellence. 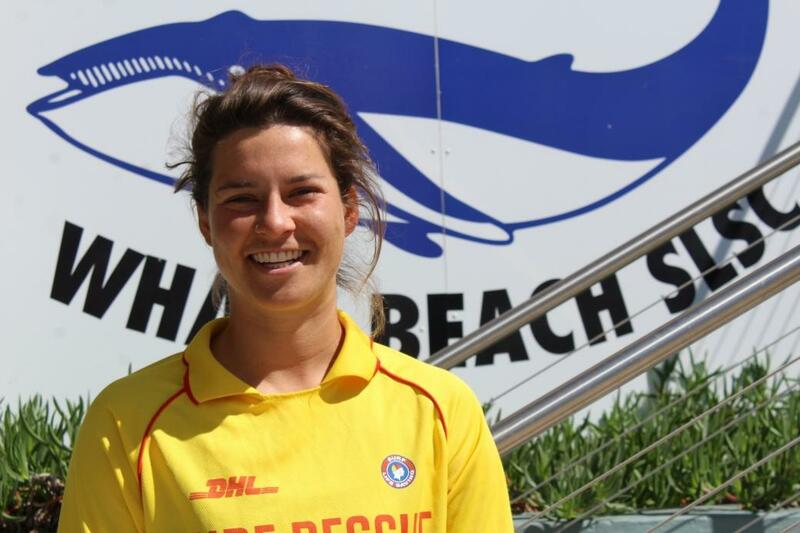 After volunteering more than 200 hours this season and impressing the panel with her knowledge of Surf Life Saving, Lara was crowned the prestigious Surf Lifesaver of the Year. "I'm so thrilled and honoured to receive this award. My club has been an amazing support and I'm forever grateful for the opportunities that I've been able to pursue," Lara Boyle said. "I was privileged enough to achieve so much this year from being Club Captain to being part of NSW development programs and travelling to Japan for the Surf Life Saving Australia Lifesaving Exchange." We first spotted Lara at the 2013 Carols by Candlelight hosted by Whale Beach SLSC - she had one of the broadest smiles, seemed to be looking out for her fellow young clubmates and could shake it in style to Christmas carols. Within a blink of an eye Rob Berry, fellow Whaley member, was calling and rang about this wonderful young girl who was taking on Chief Trainer duties, training others at the club while still a teenager - 'she's wonderful, you have to meet her!'. In December 2016 Surf Life Saving NSW sent news about their great Development Networking Program, an annual event targeted at young lifesavers in the 18-25 age bracket who have been identified by their clubs and branches as having shown leadership potential. Guess who completed this with flying colours? Lara has also taken on the role of Deputy Director of Lifesaving for SNB Branch and also became an Assessor. * Deliver 100+ patrols each year to serve and protect members of the public. * Recruit, engage, and train nine patrols of 177 active patrollers, each with its own leadership team. * Conduct over twenty training development courses each year as well as informal mentoring and development. * Marketing and execution of numerous events to engage the local community at Whale Beach to ensure great community relationships. * Ensure compliance with numerous standards and processes to ensure safety and quality. Ms Boyle wants to promote lifestyle as her career, she loves the outdoors – being fit, and sharing ways to do this. Lara is also a dynamo – intelligent, intent on continuing self development and has a lifelong learning ethos, and yes, also a really lovely young woman. Lara started The Ripple Effect during her final school year. The Ripple Effect is a series of events raising money in support of the Chris O’Brien Lifehouse. "With close to $40 000 raised across three events I've gained invaluable experience in fundraising and sponsorship, developing brand strategy and utilising strategic marketing - particularly in a social media context." Lara is Sports Coach at Pymble Ladies' College, placing a focus on social and physical development of students from Kindergarten to Year Twelve through a variety of sports and activities including; athletics, basketball, touch football, gymnastics, strength and conditioning, soccer, softball, and hockey. Prior to this work she was a Sports Convenor with the Independent Girls' Schools Sports Association (IGSSA). That involved coordinating a variety of high-school sports competitions ensuring smooth running of the events. Responsibilities included; WH&S checks, mitigating conflict, upholding sportsmanship, and managing referees, coaches and students. Lara was a Senior Prefect, Athletics Captain, and PDHPE Captain, receiving a Silver Medallion for Excellence in Academics, Sport and Community Service during her graduation year. In 2016 she became an Instructor -Surf Life Saving School. This involves Promoting surf safety through education to Primary schools, Secondary Schools, businesses and communities. At present she's undertaking two degrees, one with honours. If you're out of breath - that delightful laugh is Lara's as she plunges off the sand into the sea for a few laps to refresh herself before heading back to the surf club to do another in a thousand tasks. As much as you glance over so much done so far, what comes across from the lady herself is she's grateful for the opportunities and will do her utmost to do her best at any task. November 29th, 1994, in Sydney. In Gladesville and I went to school on the North Shore. When did you first come to Whale Beach? In Year 9, we had a school affiliation with Whale Beach SLSC. A bunch of my friends had signed up down at the gym and as I was passing they made me sign on as well. What was your first day here like? We had to do our prerequisite swim down at the pool. I remember it was freezing cold and I didn’t know the ocean or my ability well enough so I did the swim in a full steamer, which was a mission to try and do. It was really good though; the Trainer that we had, Sally, empowered all of us and I think we were all really excited just to be there. There were 30 other girls who went through in the same course, so a good group to be part of. We got our Bronze that season and joined the club. This will be my 9th Season this year. So you will be the Captain again for the 2017-2018 Season? Yes, this will be my second Season as Whale Beach SLSC Captain. I was Vice-Captain prior to that and Chief Trainer prior to that role. What was it like being Chief Trainer? It was a bit like plunging into the deep end. I was 18 when I took on that role and sought out a lot of Education and felt I had a lot of room for improvement. It was interesting trying to fulfil that role and also being a part of the Management Committee at such a young age. I’m fortunate that Phil Schmidt, the President at Whaley at that time, really encouraged us and empowered us to take on such positions. Even though I was young to take on that role the support was there and he gave us full autonomy, which was awesome. What does taking on the Captaincy entail – what are your duties? We have 180 active members at the moment. My duties are organising the Patrols, looking after our Patrol Captains, empowering all the members so they have the best time down here. Work with the Education team really closely to make sure that the beach is staffed safely and organise certain events. You’re clearly devoted and passionate about serving others; where does that come from? I think the values that my mum gave me were always positive and to share what you have and make others lives better – which is something I always try to live by. So the way I can do that at the moment is through volunteering my time and making sure everyone else’s experience at the club and of surf life saving is the best possible experience they can get. You have gone a bit beyond that though – Assessor Trainer a recent visit to Japan and Jet ski rescue operator for Branch. It was good. It was interesting that we had all the same rescue techniques and equipment except for the IRB, that was interesting. The beach culture was so different though. Alcohol and smoking was prolific on the beach, everyone had inflatable rings which they would go out in, whether they could swim or not. The way they set up the flags is a bit different to what we do here too. Where we will set them up each day to be in the safest part of the beach they have designated swimming areas cordoned off with buoys and the flags go there, every day, even if there is a sizable swell or rips. I think this works for them when they have that many thousands of people going in and they can just hang on to the ropes if they get into trouble. You have also completed your Jet ski training and are now an operator for the Surf Life Saving Sydney-Northern Beaches Branch – what was that like and why do that? Awesome, the best thing ever. I trained with Peter Finch up at Palm Beach. We had a couple of guys at the club who were training to get this and I thought, ‘that will be fun’. They took us out on the back of the jet ski a couple of times and I knew I wanted to drive and decided to go for it. How many hours of volunteering are you doing each Season? Are you living on the beach? Kind of, but it’s all good fun, so all good. 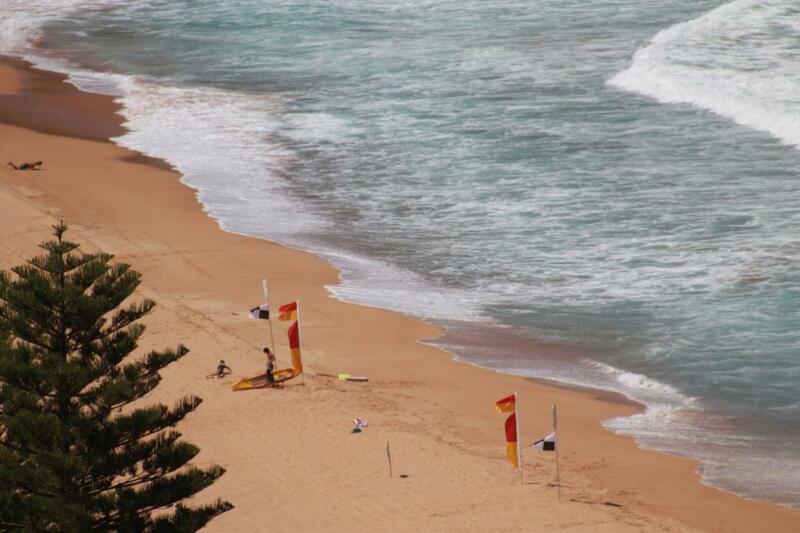 Last Season I did 150 hours patrolling at Whale Beach and around another 80 hours on the jet ski. So it was over 220 patrolling hours plus Education, plus Admin – so a bit. There’s been a shift at Whale Beach SLSC; there’s still this great older generation passing on their experience but a wealth of younger lifesavers like yourself taking on positions within the club – how did that happen? I think we’re one of the few clubs where our Management Committee is so young but still incredibly capable. 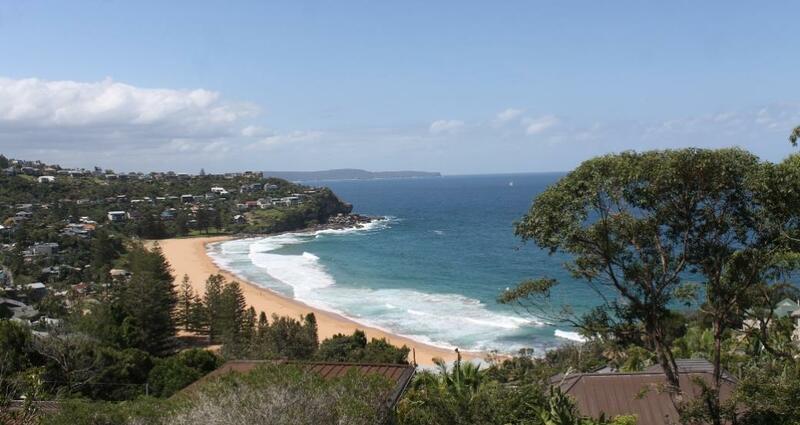 What makes Whaley Beach unique – what do you need to look out for each Season when on Patrol? We have some pretty strong waves when these do come through. The banks have been a bit different the last few Seasons and when those larger swells do come through they usually come into the beach face on. When that occurs, when it gets that big, the beach usually closes. Whale Beach SLSC is still one of the clubs where members can stay for the weekend when coming here to do their Patrols – what’s that like? The facilities here are insane, they are the best. We have a good gym, a full industrial kitchen, 10 bunk beds, 10 pull out beds plus great couches and floor space. There’s high-speed Internet, Foxtel, GameCube stations. When we get people coming down to stay it’s always a great crew, good people, everyone enjoys themselves, especially the younger kids who enjoy getting that freedom away from their parents but still being supervised, it’s really special. We have some barbecues, big Mexican nights – it’s great. What’s coming up at Whaley in terms of social events this Season? All the usual stuff – our first All In Patrol, where everyone in Whale Beach SLSC is rostered on this Sunday to Patrol together. We run our Proficiencies as well then. We have Surf Club Open day in a month, on Sunday October 15th. We have Pig Night again this season, all community members welcome. We have monthly drinks on the last Saturday night of every month, open to everyone as well. We get some food supplied from Moby’s and cheap drinks up top – they are great socialising events. Then of course we’ve got The Big Swim again this Season. We will also be continuing with the Midget Farrelly Surfing Competition, that has now become part of what we do each year. We have a special surfboard in the clubhouse that will have the winners names placed on it. Whale Beach! Of course! Why? ; because it’s off the beaten track, it’s off Barrenjoey road and so a little bit harder to get to but so picturesque when you get here. When the whales come through, you have the dolphin pods, it’s just this picturesque, secluded paradise with great people.